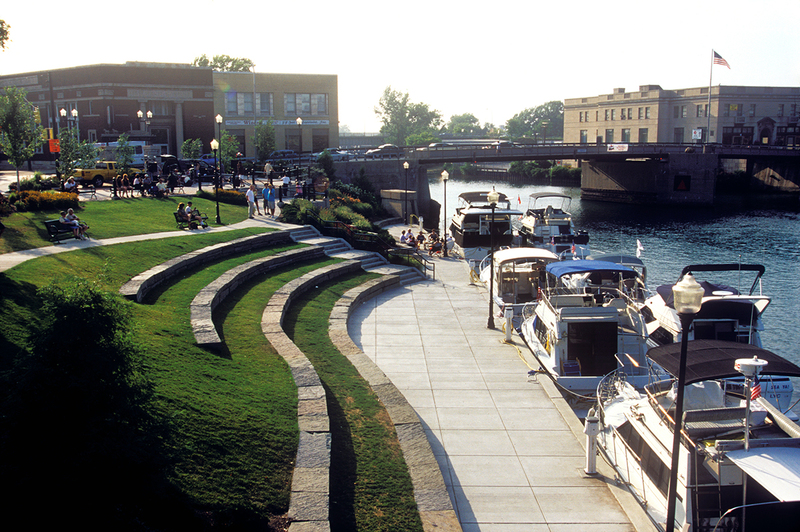 TWMLA’s approach to the project was to uncover and reveal Tonawanda’s Erie Canal heritage and enliven the space on both land and water. 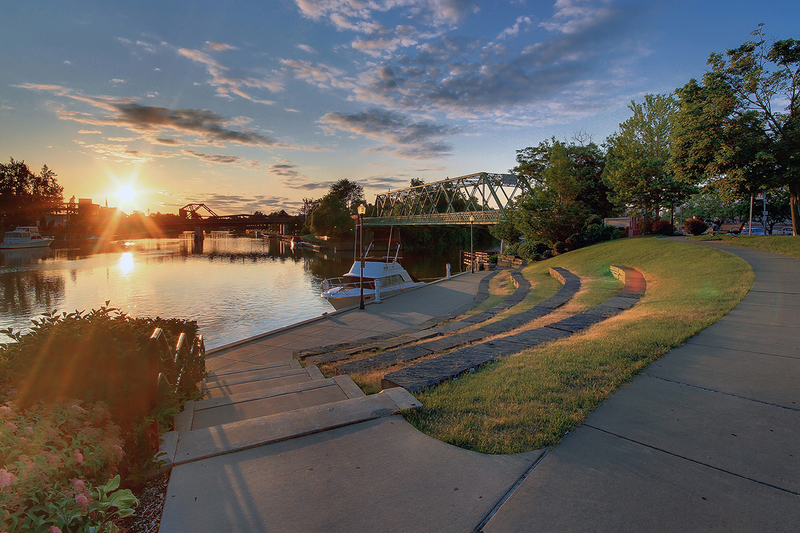 The greatest challenge was the fragmented nature of the site, which is intersected by bridges, streets, and waterways. A continuous pedestrian spine now links three distinctive outdoor spaces, and a seawall with boater services has transformed the area into a marina where boaters are encouraged to linger and come ashore. 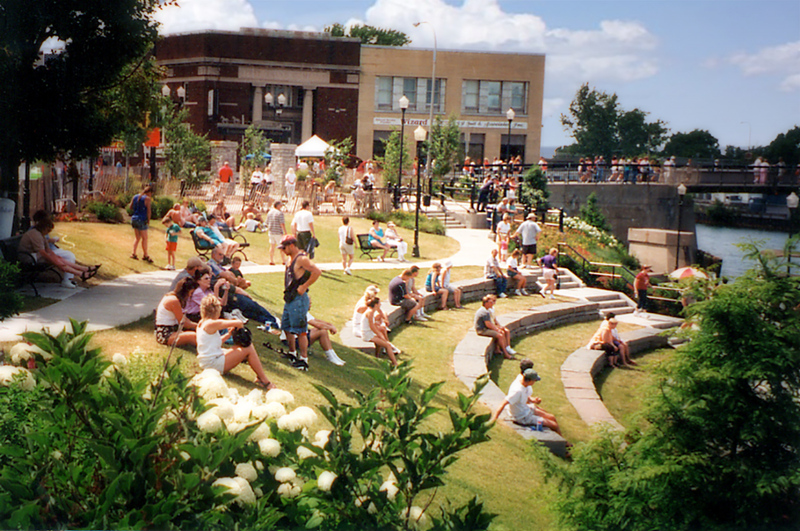 Original canal remnants are incorporated into the design of a stone amphitheater and a gateway feature marks and interprets historic alignments. 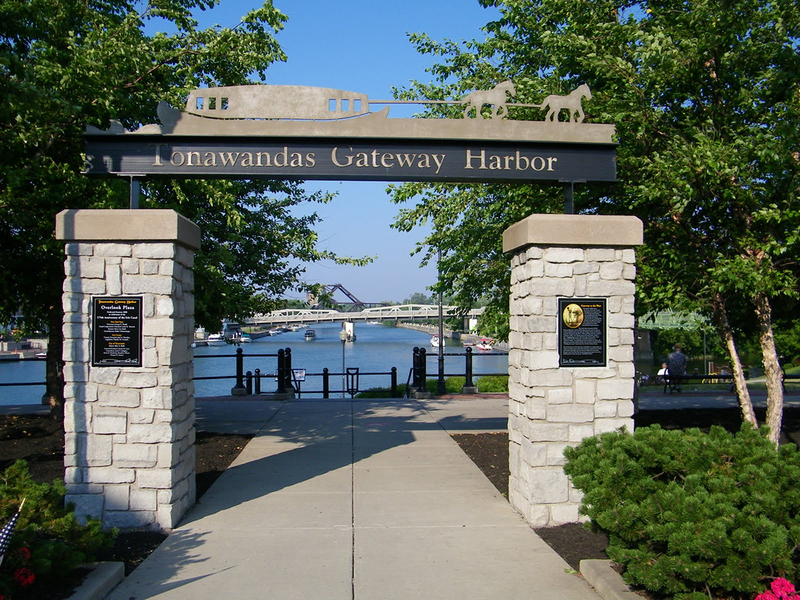 Tonawanda Canal Harbor has emerged as the national icon and premier destination of the revitalized Erie Canal.